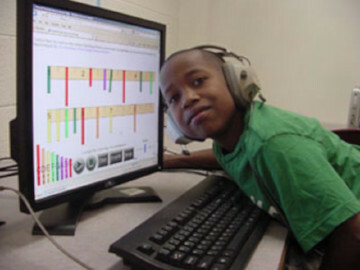 Classroom technology is at the forefront of the Foundation projects. The Foundation's General Fund is used for the operations of the Foundation and the Alumni Association Office. The Office aids alumni with planning class reunions with such activities as bulk mailings and production of invitations and other reunion materials. The Office also handles the APS classroom grant program and the Outstanding Teacher/Mentor and Outstanding Alumni Awards. This fund is invested with a portion of the interest income used to fund academic projects and programs outside the regular budget at Adrian Public Schools. Your donation helps fund creative projects such as experiential learning in a variety of subject areas, classroom grants and technology. An invested fund specifically to ensure that the arts remain a premiere and unique program at Adrian Public Schools attracting students from throughout the region. A conservative policy for annual use of a portion of the interest from this Endowment, allows the Foundation to award funds to music, instrumental, performance and the visual arts to keep these programs on the cutting edge for all students. The Foundation is working toward a $250,000 goal that will create an invested Athletic Fund. A conservative policy for annual use of a portion of the interest from this Endowment will provide annual distributions that will be used for capital expenses to enhance Athletics at Adrian Public Schools. A $200 gift gives the donor a chance to name a seat in the Adrian High School Theater. Your donation helps maintain the Theater. A $250 gift buys a large copper leaf; $100, a small copper leaf; $50, a small tin leaf on the Creativity in Motion tree in the Performance Center lobby. All proceeds fund the K-12 APS visual arts program.